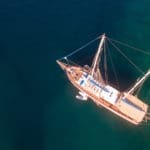 ﻿What is a Gulet Cruise and Stay or Gulet and Hotel Holiday? 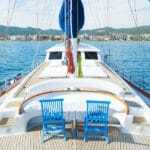 An fantastic alternative to just a gulet cruise vacation is doing a gulet and hotel holiday. This is a choice that travelers sometimes make in order to enjoy their holidays to the fullest. Usually this holiday combination lasts for two weeks. Travelers choose a starting point and either stay their for one week, in a hotel or decide to start off with their gulet holidays instead. The second week is spent in a similar way. To do this, first you book your hotel in advance. Then you contact a yacht charter agent to book your gulet cruise. You not only have the opportunity to enjoy your vacation on land, visiting all the popular places of interest, but you also have the choice in a splendid itinerary cruising either the Mediterranean or Aegean or both. It makes for a wonderful time with the family, children or a group of friends. 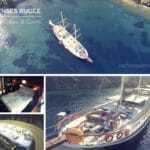 You gulet cruise can be a return trip gulet blue cruise in Turkey or a one way. 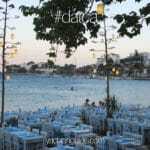 For instance, you might book a hotel in Marmaris for one week. Go on some exciting tours such as jeep safaris, waterslides, parasailing, and other excursions. Then at the end of that week, starting on a Saturday, board your gulet from the Marmaris harbor and begin a dream holiday at sea on a blue cruise to say the Greek Islands and return back to Marmaris, or go one way to Fethiye. There are many combinations that can be planned and organized to suit your preferences. What do you think of the idea of a gulet cruise and stay holiday in Turkey?